You can hardly do better than the cover and SIX pages of photos and story! 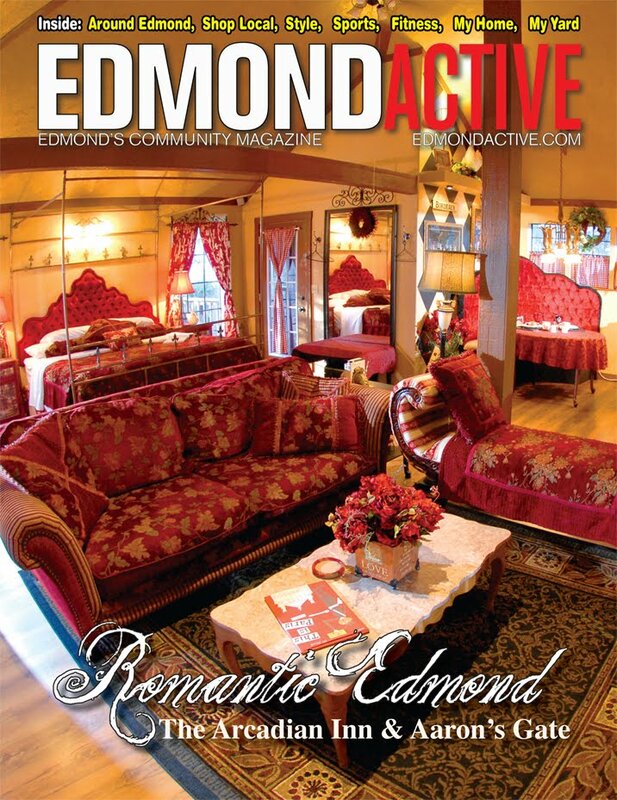 We are so excited to be the cover story for this month's Edmond Active Magazine! 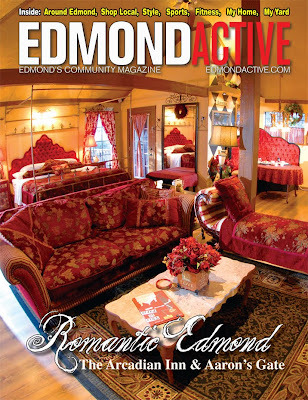 Chris Hultner took wonderful pictures of the French Hen and Meadowlark Barn and then came by the Inn to photograph Remembrances, Magnolia Suite, Crown Jewel Villa, Garden Room and Emerald Nights. It is fun to see the rooms from someone else's point of view and camera. My new friend, Sherri Hultner wrote the article. Her enthusiasm is absolutely infectious! Thank you for checking out their story. Sherri says to watch for more! Remember, these are pictures of your "happy place".